I’m Cooper Dukes, a guy who makes cool new things on the Internet. Personal Mission: To develop systems that enable people to eschew inefficient, nonessential tasks from their businesses, activities, and lives, empowering them to pursue unencumbered creativity and change. It’s about intelligently designing thoughtful processes around human-machine interaction. It’s about finding elegant solutions to business problems, eliminating the pain of rote tasks, and nurturing healthier business practices that make work more rewarding, more productive, and more innovative. And it’s about understanding how developments are changing the way we change, creating a million new intersections between information and technology. I typically say that I offer Business Technology Strategy solutions in three baskets: Web Development, Technology Consulting, and Technology Training. The idea is that I do frontend and backend web development, and I also provide auxiliary services related to understanding your technology needs and successfully using the products I build. You can read below for more details, but I think the best way to understand what I offer to see actual projects in my portfolio. Technology Consulting is about exploring your needs and constraints in order to find the right web solutions for you. The process usually begins with an initial discussion of what you’re trying to do, why you’re trying to do it, and how you suspect it should be done. How should I structure my business’s systems to be more efficient? What are cost-effective solutions to common business functions, such as email, website hosting, and accounting? What is the best way to organize the flow of information throughout my company? How do I design an email marketing campaign? What social media should I be using? How should I be using it? Should I be blogging? If so, how often and on what topics? Hybrid Design - This is the ‘lite’ version of the design process, where we work together to find a premium theme from a third-party vendor. I use this as the starting point for your website and make the necessary visual and functionality modifications to deliver a quality product that does what you need. Great for small businesses who are just getting started online or individuals looking for a portfolio site. Comprehensive Design - These projects follow the full design process. We explore your web needs, create original graphic mockups, code the site in a robust framework, and work to develop content. Your input is sought at every step of the process. Great for businesses who already have a website but are looking to upgrade. Mockup to Web Conversion - Already have a mock-up of the site you want from your own design team? I can turn your Photoshop file into an HTML website or WordPress theme. Theme Port (WordPress only) - Is your site using an older WordPress theme and just not running well anymore? Do you want to keep the look mostly intact, but make some visual upgrades, too? I can take your current theme and transfer it to a modern WordPress framework, such as WooTheme’s Canvas or StudioPress’s Genesis. This is a good way to give new life to your site without the hands-on time or cost of a full redesign. The code will be new and future-proof, but the site itself will look familiar. Microsite - This is a basic informational website (usually between one and five pages). Perfect for a splash page for an event, a ‘coming soon’ page preceding a product or full site launch, or a company without much content. Can be implemented as a static HTML page, or incorporated with a content management system. I also provide documentation services. A curated portfolio of projects I’ve completed. Cooper and his expertise have been invaluable to our organization. Despite being located halfway around the globe, he was more reliable and responsive than any other web developer we have used. He provided us with a good balance of options, both short and long term, that have allowed us to create strategic web presence as our organization grows. Cooper is also one of the rare developers that doesn’t let his broad technical knowledge get in the way of clear and concise explanations. He lays out your options and is singularly focused on working with you to find the best solutions. Additionally, he is always thinking a couple of steps ahead to ensure that you are in the best position to be effective both today and tomorrow. Cooper worked fast, on budget and provided us with fantastic results. I couldn’t ask for anything else. We’ve been trying a lot of developers and found out that the most difficult part is the communication, which makes Cooper an astounding developer. Besides the communication, Cooper manages to be efficient and organized on every project that we’ve worked on, always knowledgeable to ask the right questions in the beginning, guiding us in the right directions, which saves us a lot of time and money. Cooper is the perfect solution for a small business like us. I thoroughly enjoyed working with Cooper. His combination of aesthetic and business savvy, as well as his candor and reliability, make him a true diamond in the rough. […] I would, and will, recommend Cooper without hesitation. Thanks, Cooper! I [was] completely impressed with [Cooper’s] professionalism. Also, his knowledge of web design and development were extremely obvious. […] Cooper has an amazing work ethic, is professional, respectable, and he genuinely cares about his projects. I wouldn’t only hire Cooper again, I am looking for reasons to do so. I’ve hired Cooper several times as a contract developer for my company. He is extremely professional and thorough. […] I am consistently pleased with the results of our projects. […] His knowledge of the subject is exceptional and anything I’ve thrown at him has been in his never-ending list of capabilities. Definitely going to continue working with Cooper! Cooper Dukes has been an asset to the Dog Meets World team. He listens intently to outlined needs, follows up with comprehensive research and presents options in user friendly terms. He is organized, professional and completes jobs in a timely fashion, including responding rapidly to all communications. Cooper absolutely hit the ground running from Day One at the Journal, with a fresh perspective and innovative new ideas to use web-based tools to help us become more productive and marketable as a publication. […] It’s because of people like Cooper that I’ll be forever grateful for the experience [of managing at GJIA]. Cooper Dukes has been an invaluable assistance to me with my website and SEO. […] With his help my [visitor] numbers have kept increasing, months after my website was first developed. […] He is completely professional, knows his stuff, is very personable, and provides expert and timely technical website and SEO consulting. Cooper and I worked together on a “Strategy for Good” seminar for non profit owners, community members, and students. He was able to understand the scope of the problem and come up with an excellent presentation on the need for a good web presence for even the smallest organizations. Cooper worked with us to make sure our requirements would be met by what we were asking for, and did so in a way that supported and pushed our project forward. I fully intend to work with him again. […] He is an invaluable voice of reason thanks to his intelligence, honesty, rationality, and straightforwardness. Additionally, Cooper’s efficiency, timeliness, and willingness to learn and constantly improve himself and his work make him an entrepreneur with whom any professional or business would be glad to work. His attention to detail and desire to complete the best product possible – keeping in mind the customer’s needs – will ensure that you receive exactly (if not more than) what you agree upon. I’ve worked with Cooper on an ongoing basis to develop my online presence and strategy for the past year. He consistently seeks to understand my technology and business needs, provides me with actionable recommendations while informing me about the tradeoffs associated with each one, and implements the agreed upon solution in a timely manner and at a fair price. Looking forward to continuing to work with him into the foreseeable future! Cooper is a skilled programmer and above all an honest broker. When we received offers for our new website from across the globe this laudable trait of Cooper’s shone through, which is why we chose him. Throughout the entire design process and after, Cooper lived up to our highest expectations, always offering straightforward, honest advice and services. I recommend him wholeheartedly. Cooper is fantastic to work with! I hired him to help me develop a new website and he made it a an exceptionally smooth process. He brought a lot of great ideas and suggestions to the project, made it a seamless process and was a pleasure to work with. He communicated clearly, was extremely efficient, and made sure the project was on time and within my budget. I look forward to working with him on future IT projects for my business. Cooper did an exceptional job reformatting and designing our website. After some challenging experiences working with web designers we were thankful to find someone as highly skilled, responsive and easy to work with. We knew exactly what we wanted in terms of design and function for our site, but we didn’t know how to get there. Cooper responds to questions and concerns in a timely fashion, has innovative ideas and gets the work done. We were absolutely thrilled with the end result and continue to reap the rewards of a well-designed and very user-friendly web-site. We can’t recommend Cooper highly enough – he’s hard-working, focused and always professional. Thanks for your awesome work, Cooper! I have worked with Cooper on various projects at various stages. Beyond delivering outstanding results, Cooper has proved to be an effective strategic partner; considering both our present and future needs. We have been very happy with our partnership with Cooper and will no doubt continue to rely on his expertise in the future. I highly recommend Cooper. Cooper Dukes helped the Sirleaf Market Women’s Fund distill our ideas into practical visual concepts that lend simplicity to navigating our website. Very technically minded and focused, he was able to work as part of our team and respected our need to gain consensus within before taking action. We would recommend Cooper Dukes to those who are seeking a true professional in the world of IT. I cannot recommend Cooper highly enough. He’s extremely professional, offers a quick turnaround and explains in very concise detail what he has done to enhance your project. He’s extremely personable and good value for money. You cannot underestimate having someone work on the finer coding details of your web project who really understands what they are doing. 10⁄10 in my books! As a web designer who has worked with Cooper on a number of projects, I cannot recommend him enough. What I look for first in a developer is responsiveness and capability. Cooper is adept at his craft, and I always think of him first when clients are in need of a website developer. The integrity of the design as it is carried through development is of the utmost importance to me, and Cooper is incredibly attentive to detail. He is responsive, communicates clearly about technology and is always solutions-oriented. I’ve worked in the web design industry for eight years, and without a doubt I put Cooper at the top of my list of favorite tech partners. Cooper Dukes is the best of the best. We feel like we discovered the “Hope Diamond” of the development world when we connected with him. 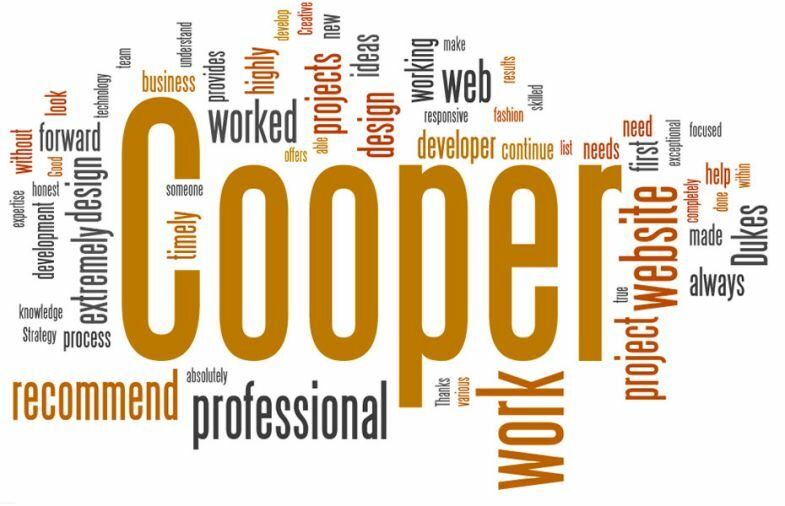 From our very first project, it was apparent that Cooper is not only a gifted developer, but professional, reliable, knowledgeable and consistent. He is very detail-oriented and provides an enormous amount of support and expertise. He is one of the key players adding to the success of both BASHelorette and CS Creative Suite. We would not be where we are today without Cooper, and look forward to many future collaborations in coming years. If you work with Cooper, your expectations will be exceeded – he is a delight to work with. Here is a curated list of topics new clients ask me about the most. Do you offer hourly rates? Do you offer fixed project pricing? I offer fixed project pricing only for work that I have been involved in from the beginning, where I am familiar with the code and can vouch for its quality. All other work can be done on an hourly basis. My Q3 2018 hourly rate is USD 105 (SGD 145). Fixed price projects generally cost between SGD 2,700 and 7,000 (USD 2,000 – 5,500). Not explicitly, though in practice there’s not much work that I can do in under seven hours. Yes, I have a general contract, applicable to any work we do together. The goal of my contract is to make sure we each understand what our responsibilities are, not to deceive you. As such, it’s written in plain English and available in a version controlled GitHub repository for you to review at any time. For fixed-price work, I will also submit a project proposal, outlining the scope, timeline, and price for the individual project. Depending on the size of the project, I usually require a deposit of 20%-40%. An additional sum may be payable at the midpoint, and the balance is payable on completion. Payment terms will be clearly stated in any project proposal I provide. For fixed price work, I invoice as per our agreed upon payment terms. For hourly work, I invoice (approximately) on the last day of the month. How long does a project typically take? What is your turnaround time? A full site development project typically takes 6-9 weeks for design, development, and review. Coding a provided design can take a few weeks less. I try to turn around hourly work items within 2-4 business days. Of course, this may vary based on the complexity of the work. What browsers and devices do you support? Do you design responsively for mobile sites? I will test any views that I build for you in the current stable version of the four major desktop browsers by market share, as well as in iOS. Users of older or less capable browsers or devices will experience a design that is appropriate to the capabilities of their software. If you need me to consider other or older browsers, I will charge you at my standard hourly rate. It depends. A CMS will allow you to update your website without calling me (or learning HTML), but implementing a CMS adds a lot of weight to the backend, since you’ll need to communicate with a database on every page load (caching aside). This adds extra loading time to your site, compared to just using static HTML. You’ll have to ask yourself, “Will I make regular updates to this website, once it’s completed?” If you won’t, then it may be best to opt for the simpler non-CMS solution. What CMS do you recommend? It has a massive developer community, meaning that the code is thoroughly documented and that there’s a huge pool of knowledge to draw upon when trying to code custom functionality. This reduces development time, and makes for better solutions. It’s updated on a regular interval. WP releases a major update twice each year, innovating new features and improving performance on a consistent cycle. It’s free, both in cost and in openness. Every line of WP code is accessible to anyone who wants to look. It’s secure. The WP core software very rarely has major security issues, and when these arise, they’re quickly patched. So long as only well-vetted themes and plugins are added to WP, the software remains secure. Most WP site hacks, as well as articles about WP’s insecurity, are the result of running outdated software. You quoted me [insert dollar figure] to develop a feature. Can't I just use this plugin/widget to do the same thing for free? When was the plugin last updated? Is it currently maintained? Is the source reputable? How much customization will be required to make it fit your site? How well does it perform? It is secure? Plugins may look like ideal solutions. (Who would argue with free?) However, many plugins you find online are long out of date. Even those that aren’t will often mesh poorly with your site. What’s the point of paying for a bespoke web presence when you just throw a neon green contact form into the sidebar on launch day? In addition, plugins, by definition, aren’t as tightly integrated into the rest of the site as custom developed functionality. They often execute when not needed, or load extra files on every page, or just work really inefficiently. They don’t perform a functionality I could easily code myself. They’re actively developed by a reputable source. They don’t excessively hinder performance. For instance, on this site I’m using Gravity Forms, WordPress SEO, and Advanced Custom Fields. That’s it. I evaluate these reports and either fix the issues flagged or explain my reasons not to (such as the validator’s rule being out of date or the performance boost not being possible on your current server). Do you have public code samples that I can review? 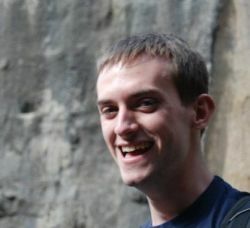 You can check out my personal GitHub profile for some recent code I’ve written. Keep in mind that the majority of my work is for clients, so I don’t own the code and unfortunately can’t show it off. Is what you build secure? What do you think of [insert web host]? For domain registration, I use and recommend Google Domains. What about site content? How can you help? You will need to provide site content: text, images, and videos. I can build you an amazing website, but no one will ever see it if you don’t add in the words to sell your product or service. I can help you develop your sitemap, which will determine what pages you’ll need to provide content for, and I’ll usually upload the initial batch of content for you. I can also recommend stock image resources, and in some cases, I can provide copy writing services. However, I truly do believe that you are the person best qualified to write about what you do. I know writing content can be hard, but I discourage the use of copy writing or stock imagery services most of the time. I try to write modular code, broken down into easy to follow chunks, with clearly named functions. I try to conform to the WordPress Coding Standards as much possible and create consistent, well-integrated interfaces when extending currently existing software. The exact text/image documentation provided will vary by project. I want to make sure that my code is clear and that you’re able to use the products I create, but I don’t want to write volumes unnecessarily. Please specify your documentation requirements before we get started, so I can provide you with what you need. Writing is hard work. I have a ton of respect for individuals who are able to consistently produce quality article content. I’m not one of those people right now, and although I’ve had tech/business blogs in the past, I don’t currently maintain one. Why do you say "me"? Aren't you supposed to use "we"? I think it’s disingenuous to speak in the royal we. Although I work in teams every day and can all kinds of specialists to your project if needed, I’m one person with a company right now. Your quote is much less than this other company! How are you undercutting the competition? I build efficient processes, time tracking everything I do (billable or not) and finding ways to do it better. I avoid excess. My proposals are 1-3 pages, not 20-40. I don’t show up at your office when an email will do (and give you the freedom to reply at your convenience). …and most importantly, I sell the solution I believe you need. Sometimes you don’t need a several thousand dollar custom-built system yet. I won’t try to sell that to you when a simpler implementation will do. I’d rather save you the money now so that you can invest it in your idea, grow, and then come back to me for the big project. You can email me at hello@cdbtech.com. I’ll get back to you as soon as I can (usually within a few hours).